It’s a crisis of purpose. Boys’ old sense of purpose—being a warrior, a leader, or a sole breadwinner—are fading. Many bright boys are experiencing a “purpose void,” feeling alienated, withdrawn, and addicted to immediate gratification. So, what is The Boy Crisis? A comprehensive blueprint for what parents, teachers, and policymakers can do to help our sons become happier, healthier men, and fathers and leaders worthy of our respect. 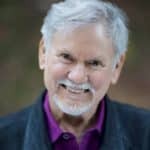 Warren Farrell, PhD, trains couples and psychologists worldwide in the “art and discipline of love.” He is coauthor, with John Gray, of The Boy Crisis (2018) and the author of two international bestsellers, Why Men Are the Way They Are and Women Can’t Hear What Men Don’t Say. His books are published in more than 50 countries and in 17 languages. 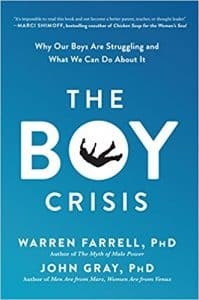 Dr. Farrell is currently the Chair of the Commission to Create a White House Council on Boys to Men, and is co-authoring Boys to Men with John Gray (Mars/Venus). Farrell has been chosen by the Financial Times as one of the world’s top 100 thought leaders and by the Center for World Spirituality (in 2011) as one of the world’s spiritual leaders. He was a pioneer in both the women’s movement and the modern men’s movement.